John Lewis claims it has opened the UK's largest smart home technology retail experience as it seeks to "demystify" the sector for shoppers. The retailer is opening a 1,000 sq ft space showcasing smart home products at its flagship Oxford Street store, which it believes it is the largest of its kind in the UK. Rival retailer Dixons Carphone has ‘Internet of Things’ areas in a number of its stores, but these tend to be relatively small areas showing off products such as Fitbits. John Lewis’ smart home space will open on 7 April and feature products including an oven that can be set to cook food while the user is out-and-about, a smart fridge that aids grocery shopping and a bedside device that monitors the user’s sleep quality. John Lewis buying director for electricals and home technology Johnathan Marsh said: "We are seeking to demystify the latest smartest technology for our customers. In-store experiences are now key as we’ve seen customer demand for physical experiences before committing to purchase increase. "To help customers understand which smart technology is for them, our partners have received extensive training to provide added value. Given our home and technology credentials, John Lewis is perfectly placed to support and lead the customer on the smart home journey." John Lewis is launching the space after recording a surge in searches for smart home products on its website. It reveals it received 18 times more searches for such products in December compared to the year before. Meanwhile, sales of smart home products as a category at John Lewis have increased by 81% year-on-year from 2014 to 2015. The 1,000 sq ft area will feature four zones, which include ‘kitchen’, ‘entertainment’, ‘sleep’ and ‘home monitoring’. The Samsung Family Hub Smart Fridge in the kitchen area has a set of cameras in its door that allows the user to view the contents of their fridge from their phone. All products featured in the space will be available for purchase and the smart home experience is due to be rolled out to other stores, starting with the Leeds store in Autumn 2016. 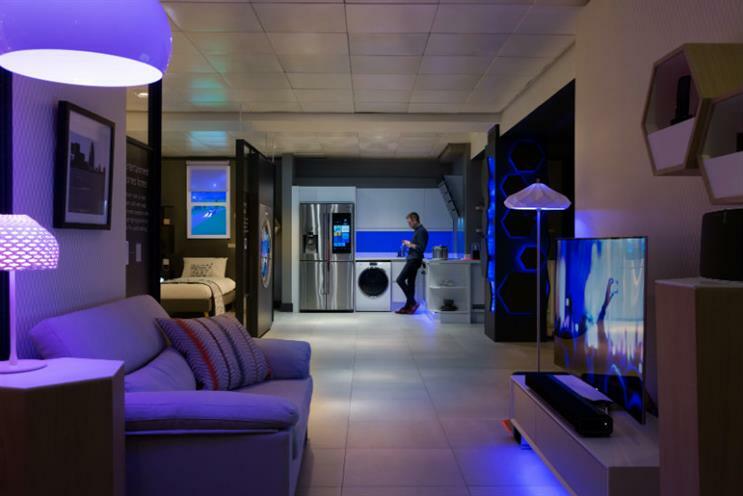 Alongside facing competition from Dixons Carphone, John Lewis will be competing in the smart home sector with Ikea. The Swedish furniture giant has already revealed it is developing smart products such as furniture that can wirelessly charge mobile phones.